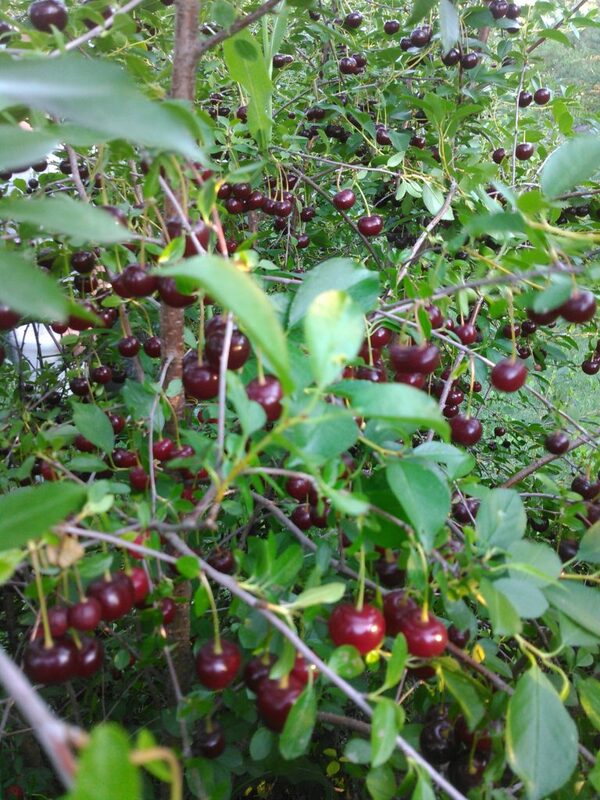 Bonus: pick a pail of green beans free for each pail of cherries while supplies last. Open Mon-Sat. Call or text 306 232 2156. 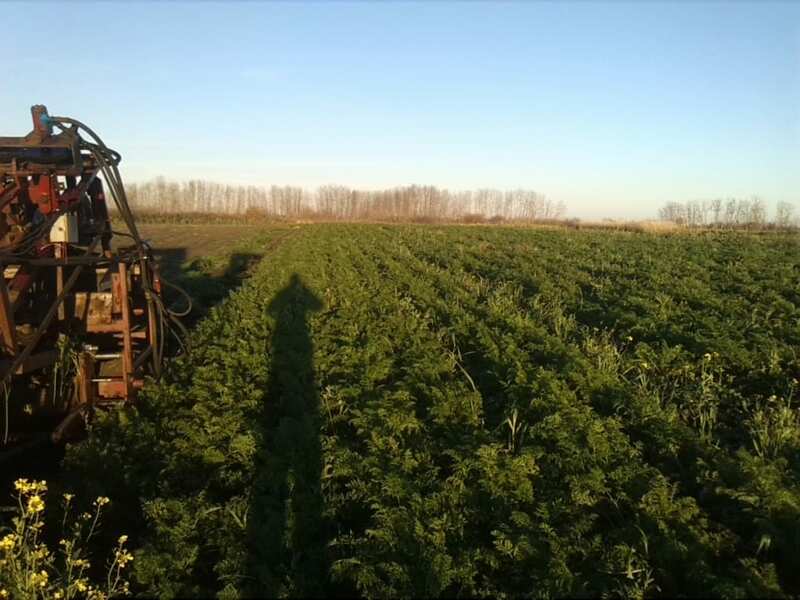 Here is a video of our farm’s new carrot weeding machine. 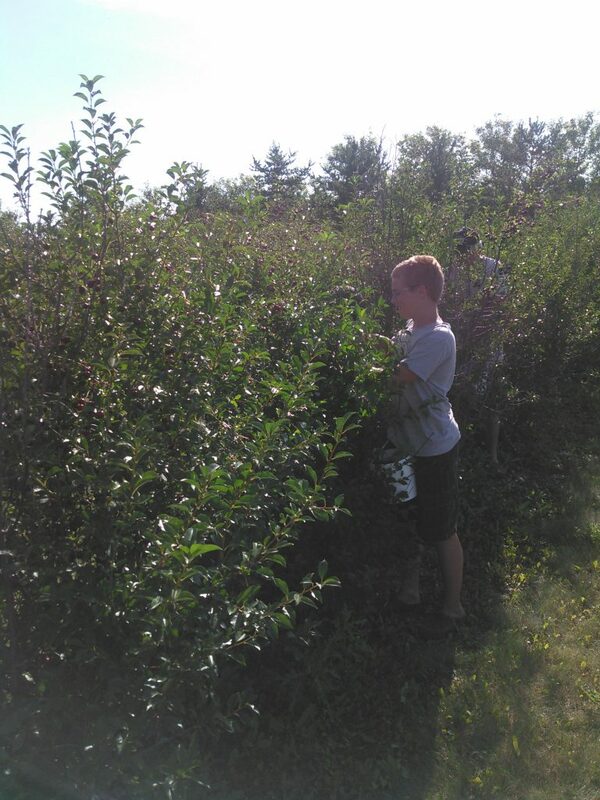 Please check back with us in early fall for a wide variety of vegetables and fruit! We are still happy to have produce available for you now in February 2016! 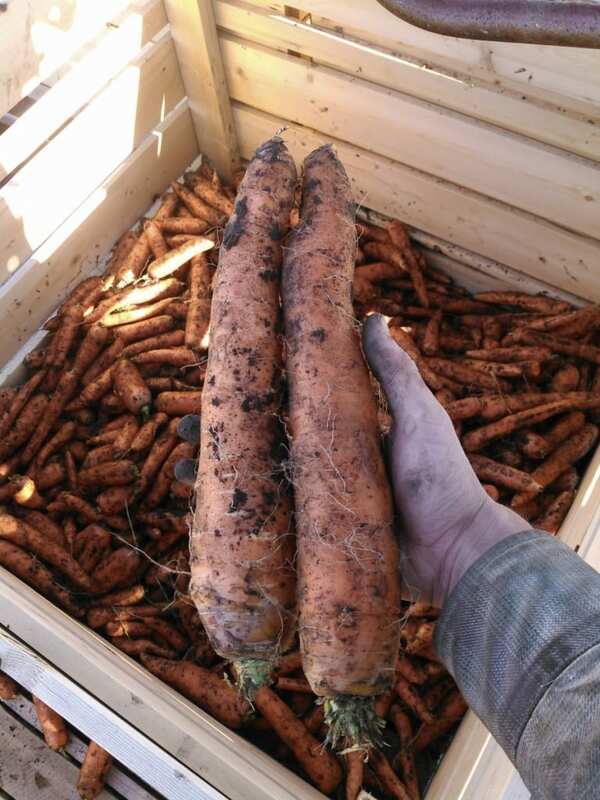 Carrot Deal: $45 for 75 lb- Larger and or slightly deformed carrots. The long rows of carrots. 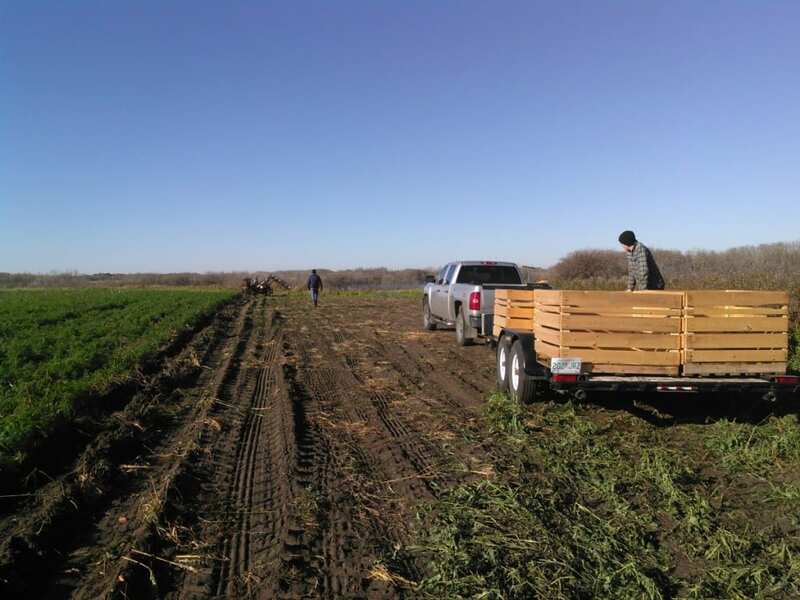 This year we rented several acres of sandy land a couple of miles south of our house. The carrots were planted with a one row garden seeder. Weeding took place on hands and knees down all the long rows. Needless to say, it took a long time! 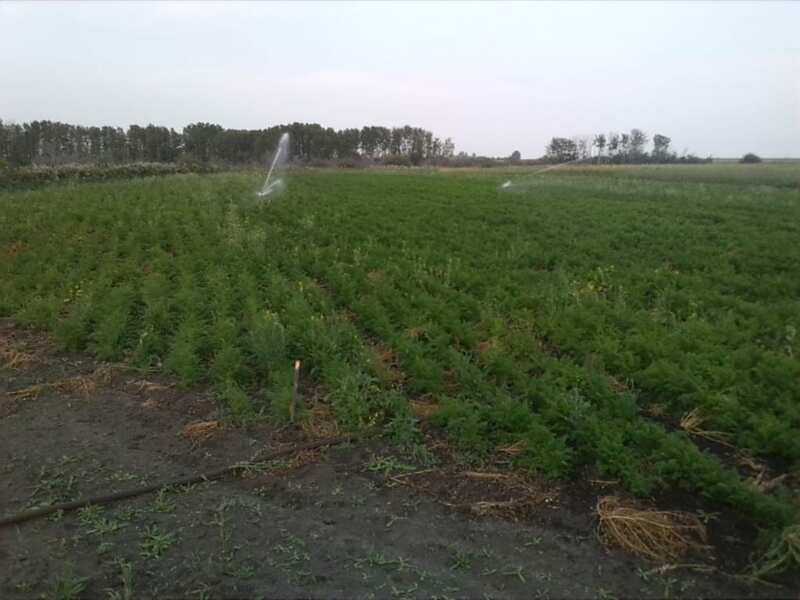 Through out the season the carrots were watered with a high-pressure sprinkler system from the nearby Arma slough. Getting ready for a day of harvesting. 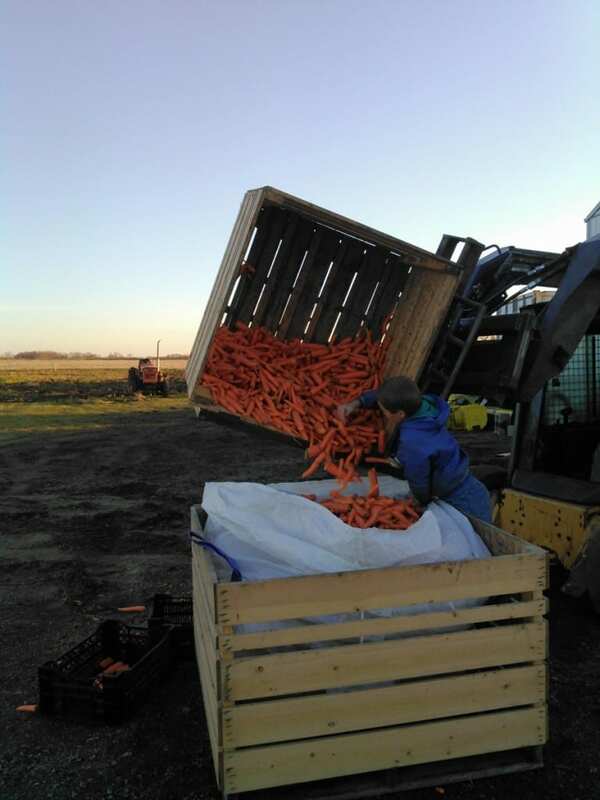 The harvester pulls the carrots, takes the tops off, and then conveys them over to crates that we built to store the carrots in. We had some big carrots, some were much larger than these average sized ones! 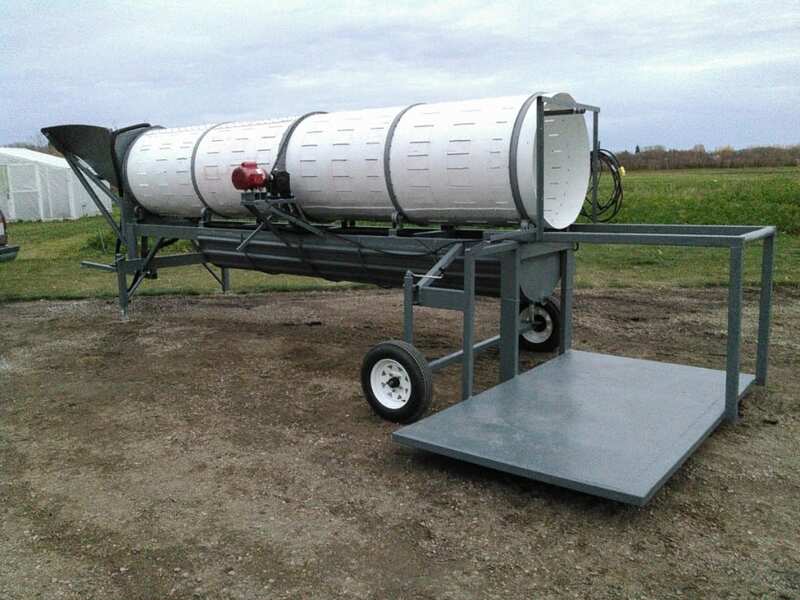 We built a carrot washer a few years ago but it was starting to need repairs on a regular basis plus getting small for our needs. Because of this, we built this new washer which is about 3 times as big as the old one. 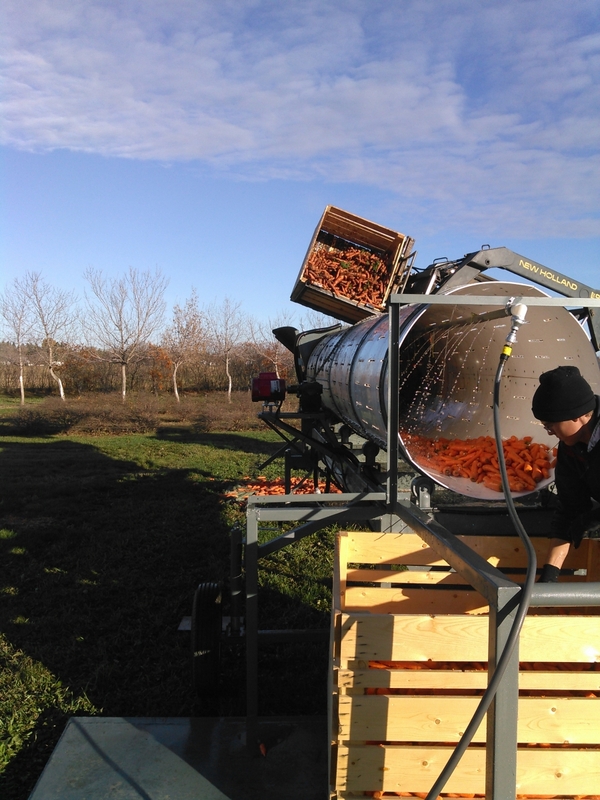 The carrot washer in action. Joshua and Jesse also built a pallet dumper to dump crates of carrots. The pallet dumper is attached to the skidsteer which we purchased, and allows us to rotate the crates. In this picture Andrew is dumping carrots into tote bags for storage. 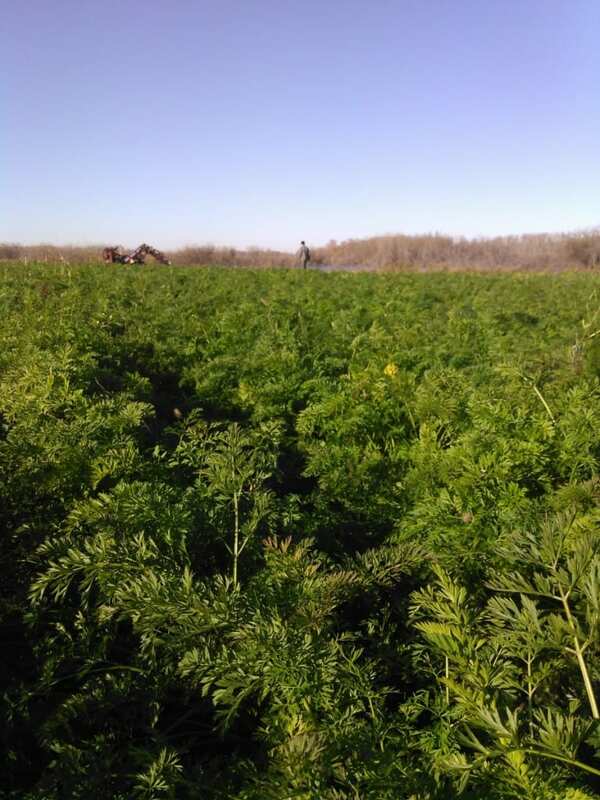 We were thankful to have finished carrot harvesting on October 26th.